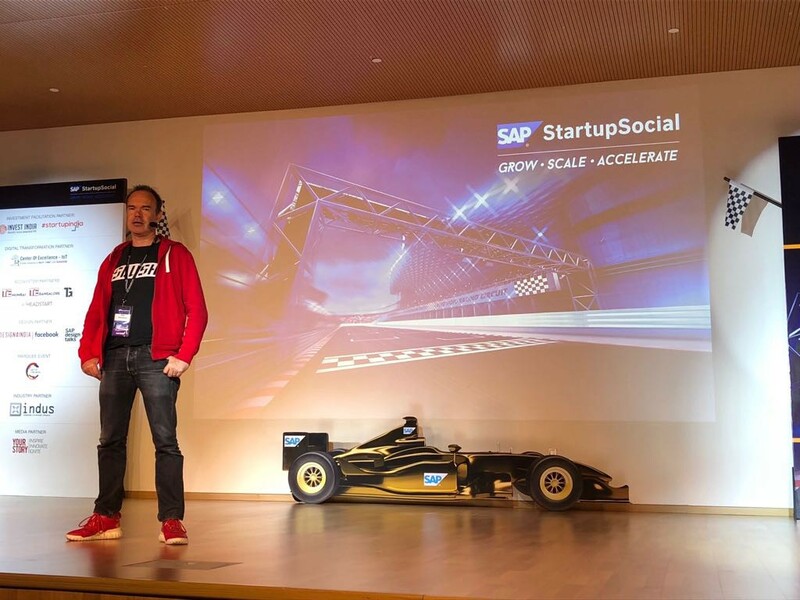 Last month SAP Startup Studio graduated the second cohort of its accelerator program at SAP Startup Social. The 16 enterprise startup graduates use emerging technologies, such as artificial intelligence, machine learning, analytics, blockchain and cloud to innovate the way we work around the world. Housed at SAP Labs India, the SAP Startup Studio Accelerator Program has become one of the biggest platforms in India for startups to scale. By working closely with customers and startup innovation partners, the program helps participants create a sustainable business model and expand their innovations to other geographies. For the current round the SAP Startup Studio had received over 700 applications from which the final 16 of this year’s cohort were chosen. 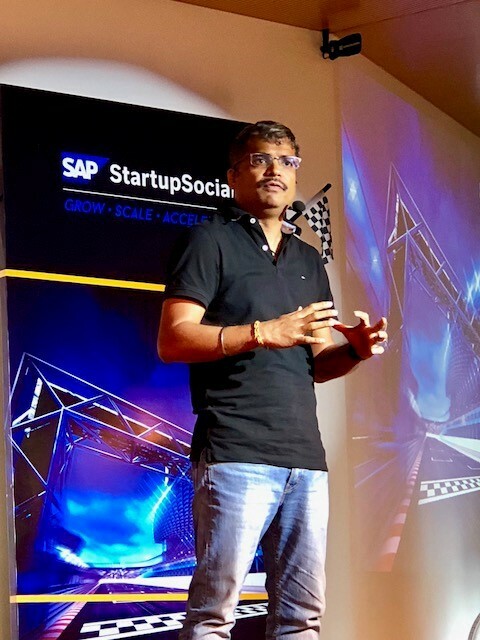 Now in its third year, the SAP Startup Social, brought together representatives from early stage startups, corporations, venture capitalists, government and other key ecosystem partners that fuel the global rise of Indian startups. India is the third largest technology startup hub worldwide. According to the NASSCOM Startup Report from 2017, there are more than 5,200 technology startups in India. Indian startups like the online retailer Flipkart have become global household names. At the SAP Startup Social Event Binny Bansal, CEO and co-founder of FlipKart, shared his entrepreneurial story from a small business to a billion-dollar organization by focusing on frugal innovation. Flipkart was recently acquired by Walmart for $16 billion. Siddharth Bhatia, Vice President of Invest India, lauded the positive social change that startups are bringing to India’s economy and society, facilitated by renewed startup policies. However, despite a more positive environment for startups in India, not every startup is a success like Flipkart. A high percentage of startups still fails in the early stages due to lack of funding, partners, and operational experience and fierce competition. Dilipkumar Khandelwal, Managing Director of SAP Labs India and President of SAP HANA Enterprise Cloud, emphasized that a strong ecosystem of partners, infrastructure support and mentorship is crucial for startups. Part of the SAP Labs India accelerator program is to connect startups with successful founders of global companies and learn from their entrepreneurial story. 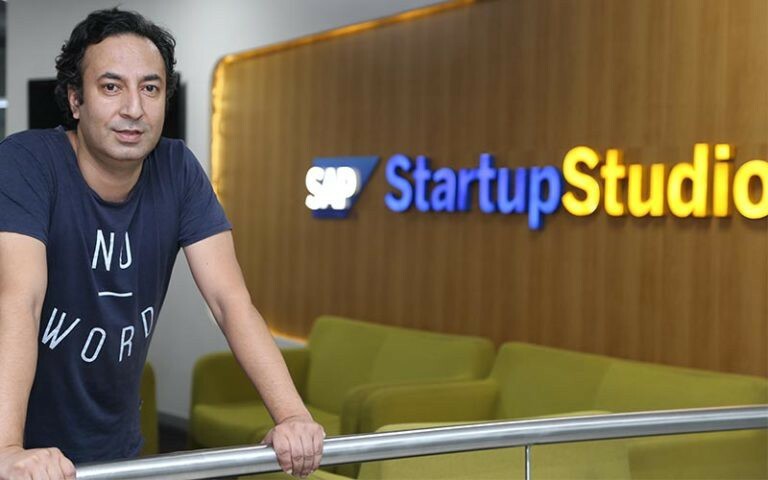 At SAP Startup Social, Peter Vesterbacka, who built the Angry Birds video game franchise, highlighted the importance of branding and cohesive storytelling for startups from the beginning. The Angry Bird video game of the Finnish company Rovio Entertainment and its brand story started with a simple question: why are the birds angry? Today, the company sells more than 30,000 Angry Bird-related products in more than 500 locations around the world. Jitendra Gupta, managing director of PayU India and co-founder of Citrus Pay shared candid experiences from building both ventures. He advised startup founders to remain focused and to anticipate the future. Gupta also addressed the fear of failure that has been holding back founders in the past. He sees failure as an opportunity to learn. With the market still growing startups get many chances to fail and learn from it, according to Gupta. PC Mustafa, CEO and Founder of ID Foods highlighted the role of innovation in his own entrepreneurial story from a school drop out to a successful builder of an international food brand. Founded in 2005, in a small kitchen in Bangalore, ID Foods grew into an international food business that helps homes across the country and the Middle East enjoy fresh homemade meals, with the help of technology innovation. 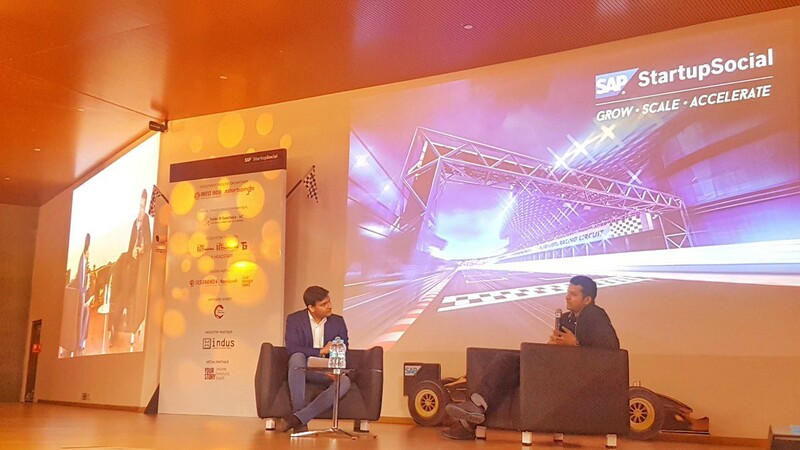 Coming from a family of entrepreneurs, SAP’s Dilipkumar Khandelwal shared business advice from his grandfather with startup attendees: “To succeed every entrepreneur needs to practice the art of nazar (foresight), have jigar (passion) and khabar (awareness),” said the Managing Director of SAP Labs India and President of SAP HANA Enterprise Cloud. Graduating the SAP Startup Accelerator is a rite of passage for the startup’s national, and often global expansion. Many of the SAP Startup accelerator program participants continue to work with SAP after their graduation. From this year’s cohort, six startups are developing co-innovation products with SAP. Others are building on the SAP Leonardo platform, which combines emerging technologies, such as artificial intelligence (AI), machine learning, advanced analytics and blockchain. One of last year’s SAP Startup Accelerator program graduates is the artificial intelligence startup Datoin. Founded in 2015, the Bangalore based company has developed an enterprise automation platform which helps enterprises to automate their processes by leveraging enterprise’s data, artificial intelligence, and component-based engineering. The startup has grown leaps and bounds since graduating from the program. Collaboration with SAP continues, specifically for the co-development of seamless paths for a company’s digital transformation with new technologies at our SAP Leonardo Center. We have gained significantly by being a part of the SAP’s startup accelerator program,” commented Monis Khan, the co-founder and CEO of the Datoin on the program impact. “Partnering with SAP provided us a platform to accelerate our growth. In the one year of incubation we had access to SAP’s technology mentors, sharpened our go to market strategy and benefited through the multiple connects and learnings from the startup ecosystem that SAP Startup Studio facilitated,” said Ranjankumar, Founder and CEO, Entropik Tech. One of this year’s SAP Startup Social highlights was the ‘Get in the Ring’ startup battle among the next generation of enterprise startups. Thirty startups had put their boxing gloves on to fight for the title of the most innovative enterprise startup in this challenge, hosted by Jochem Cuppen, Global Director of Get In The Ring. 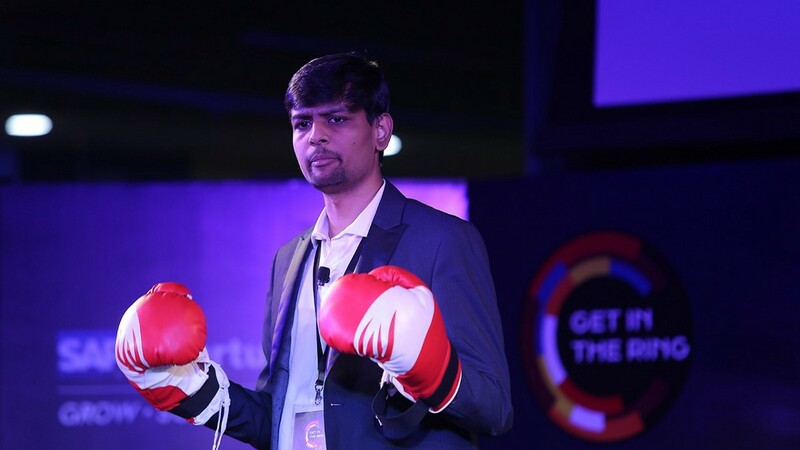 Instead of fists and parries, the final four startups had battled it out in a boxing ring with words and ideas to win over the judges, including Ashutosh Vaidya, CDO of Tata Technologies and Peter Vesterbacka, founder of Angry Birds. Manu Gupta, co-founder and director of Seeta HealthTech, was crowned the champion of Get in the Ring and Shashank Bijapur, co-founder and CEO of Spotdraft, was the runner up. The startup ecosystem of SAP Labs India offers access to mentorship, infrastructure support and the ability to co-innovate for SAP customers worldwide. “The time has come for Indian tech startups to enter the global stage. They are at the heart of the next wave of innovation. Their products and thinking will change the lives of people around the world for the better, and we are proud to be part of their journey,” concluded Khandelwal. Read also Dilipkumar Khandelwal’s post ‘The Next Tech Unicorns Will Come From India’ here.